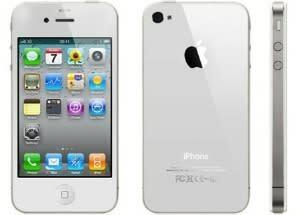 The iPhone 5 could be announced as soon as October 4. Since it will be the first big announcement from new CEO Tim Cook, we can expect Apple to pull out all the stops to make the event as spectacular as possible. Still, though, all eyes will be on the iPhone's new features and capability. There is plenty of speculation already buzzing about the tech information highways about Apple's new smartphone, but these are the things we hope to see included on iPhone 5. We already know the new iPhone using iOS 5 can sync wirelessly with your computer. This basic functionality was announced at the Worldwide Developers Conference in June. You won't have to plug in that quirky Apple iPhone cable to move music, movies, and pictures back and forth between your phone and computer. Simply bring your iPhone nearby and let the operating system and iTunes automatically do the work for you. It sounds pretty neat, and will go a long way toward making iPhone use more convenient. In addition, we hope the iPhone will support wireless charging. The HP TouchPad had this capability. You just place the TouchPad on its charger and juice back up without needing to actually plug in any cables. While that might not sound like a big deal, wireless charging makes using your iPhone around the house infinitely more flexible. Since you won't use wires to sync your iPhone, it would be awfully nice to go completely cord-free to keep your iPhone charged as well. The operating system included on the iPhone 5 will have some seriously nice features for iPhone photographers. An automatic rule-of-thirds overlay will provide visual cues to making your photos more dynamic and interesting. The new iCloud service will make your photos automatically available across your Apple devices, giving you faster, more convenient access to pictures no matter what gadget you happen to be using. You'll also be able to use your volume button as a shutter release, access the camera from the lock screen, and enjoy improved auto-focus. With all these cool photography enhancements, we really hope to see the iPhone get some serious camera improvements. While the high quality of iPhone photographs has never been about raw megapixels, an improvement in resolution would still be a good thing. 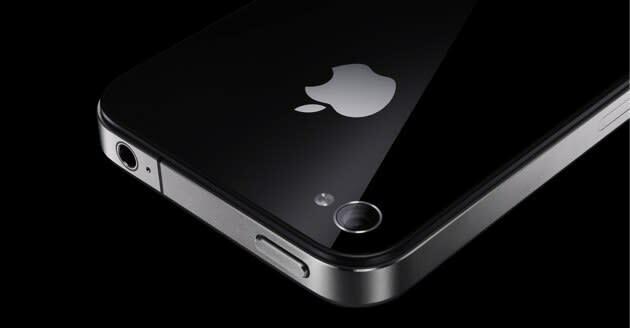 Purportedly leaked iPhone 5 photos demonstrate aperture close to that of point-and-shoot cameras. Some flash improvements wouldn't hurt, either. Essentially, though, we'd like to see the iPhone 5 camera take a step closer to being a good, universal camera for family use, completely obliterating the need to carry a point-and-shoot camera in addition to our smartphone. It took Apple quite a while to release an unlocked iPhone 4 to the general masses. It wasn't until June this year that you could pick up an unsubsidized iPhone, leaving you free to use it with any carrier. The ability to choose your own service provider is nearly ubiquitous throughout the rest of the world, but Americans are typically chained to a given contract when they initially buy the phone. On behalf of travelers and carrier switchers alike, it would be awesome if the iPhone 5 came out of the gate unlocked. We've heard rumors that companies like Sprint may also carry the iPhone 5. If enough carriers already have their own iPhone 5 access, an unlocked iPhone simply makes sense. Near field communication (NFC) is a relatively new technology that provides wireless communication between two devices. The concept behind NFC is that you have an inanimate object, like a card, poster, or label, and a gadget which serves as a reader. Objects targeted by the reader don't need power to be read, which is what would allow the target to be embedded in just about anything you can imagine. The target gets its power from the reader itself, extracting power from the wireless signal. Once the target is turned on this way, it can send data back to the reader. It might sound like scanning barcodes, but NFC will be much more flexible and secure. You can do a lot more with this kind of communication method than you could with a simple barcode. Google just released its Google Wallet service, which allows your cellphone to replace participating credit and debit cards. The service is still in its infancy, but Google Wallet won't be the only NFC payment service to crop up. As NFC becomes more popular and attainable among retailers and businesses, it will become increasingly common to accept payment through a smartphone instead of an obsolete plastic credit card. 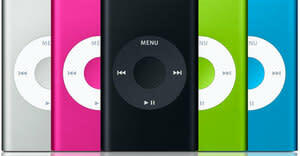 This technology is something that the iPhone 5 should be helping pioneer. NFC will continue to spread in industry, and the iPhone needs to be able to say "there's an app for that." Our final wish for the iPhone 5 is, essentially, a little brother. Since the cost tiers for iPhone models are proportional to its internal storage capacity, a smaller iPhone based on cloud storage seems like it would be the least expensive option. That's what the rumored iPhone nano is all about. Working hand-in-hand with iCloud to keep files on the internet and streaming the content to your phone, the iPhone nano would obviate the need for big onboard memory. The smaller, less-expensive iPhone nano wouldn't be for everyone, of course. Some people really do need reliable internal memory on their iPhone. That being said, cloud storage is pretty hip and convenient, and more options are always a good thing. Could an unlimited data plan help Sprint lure iPhone buyers?